The family moved to Katoomba in May 1958 and Rex discovered he was in the midst of a virtual laboratory in the form of the Blue Mountains. Here, while completing his last six months of High School he rapidly added to his growing natural history collection. Here he learnt that the surrounding valleys were the fabled home of a variety of mystery creatures; the 'extinct' Thylacine, the "Blue Mountains Lion, the "Australian Panther", giant-sized monitor lizards, Yowies and pygmies! Learning of his interest in the Yowie, his Katoomba High School friends christened him the "Yowie Man", calling the Yowie Rex Gilroy's Hairy Man".! It was not long before the local radio station [then 2KA] 'discovered' the young naturalist of North Katoomba, regularly interviewing him on all manner of natural science subjects, and before long he had his own weekly [pre-recorded] radio program. It would take the newspapers a few years yet to 'discover' him, and when they did, in 1963, there were regular articles about his researches and major discoveries. He received attention for his participation in an Australian Museum Butterfly Tagging program to study the migratory habits of species such as the Wanderer, Painted Lady and Caper White species, which make yearly seasonal migratory flights in large numbers across hundreds of kilometres. 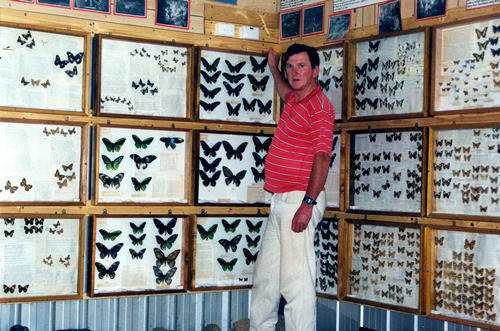 Yet, because Rex Gilroy was a mere 'amateur', and because he was beginning to receive a lot of media attention, the Australian Museum scientists for whom he had devoted so much time and effort in the Butterfly Tagging program, as well as donating hundreds of insects for research purposes, dropped him from their list of helpers! Similarly, over the years certain university academics who frown on any amateur involvement in the sciences, would wage a war of sorts against Rex in his efforts to publish his theories and discoveries, approaching gullible journalists 'advising' them not to interview him or publish his researches. There were efforts by one individual in particular to prevent him from obtaining the lease [including its later renewal] for the Mount York Museum. Copyright (C) 2011 URU Publications. Rex & Heather Gilroy.All Rights Reserved. The year 2003 is an important one in the life of Rex Gilroy, for it marks his 50th year as a natural science researcher. It was in 1953 that is parents took him for his first visit to the Australian Museum in College Street, Sydney. On that hot Sunday afternoon he was captivated by the insects and other zoological displays; the fossil life forms; the archaeological and anthropological exhibits. And the nine-year-old left vowing to become a naturalist and form his own collection of "bugs and rocks". Up until then he had been fascinated by his Scottish father's tales of ancient castle ruins in his homeland, and the legend of the Loch Ness Monster. 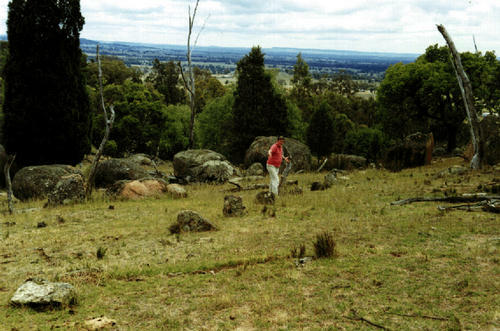 These tales, he would realise in later years, launched him on the path that led to the studies of our 'unknown' and 'unwritten' history of pre-Aboriginal stone-age races, and pre-Cook/Dutch exploration and colonisation of Australia; the founding of Australian Cryptozoology and Yowie research. His fledgling collection of "rocks and bugs" would grow from two cardboard shoe boxes in 1953 to become the largest privately owned natural science collection in Australia, displayed in museums he established on the Blue Mountains [and more recently in Tamworth NSW] over the years. It is now stored at his home where it continues to grow. Rex can trace his interest in nature back to about the age of four, and can remember his mother showing him a trap-door spider's hole in the back yard garden of the family farm at Lansvale on the Georges River, one early morning. His love of nature steadily grew from that experience. In 1954 while his parents were on holiday at Katoomba, he was taken to the then Natural History Museum of Charles Melbourne Ward, next to the Hydro Majestic Hotel at Medlow Bath. This began a lifelong friendship and it was 'Mel" Ward who taught the young budding naturalist how to keep notes as well as properly prepare, classify and preserve specimen material. By the time Mel Ward died in 1966, his protege was already operating his first museum out on Mount York peninsula at Mount Victoria and attracting media attention. Rex Gilroy's schooling began at Villawood Infants , and once moving on to the adjoining Primary School, he was forever borrowing books on insects, dinosaurs, ancient history and asking his teachers questions which even they had no answers for unless they consulted library books. Moving on to Liverpool Boys High School in 1957 at age 14, Rex Gilroy became a denizen of the school library once again. It was here that books on the Tasmanian Tiger [Thylacine] and other animal mysteries [largely overseas ones] led him to begin researching these creatures more deeply. "I recall that it was in the month of March, when to avoid doing sports I volunteered to assist the Librarian. While stacking books and sorting them out I came across a book on Aboriginal tales. Among these were the first I ever read on the Yowie, or "hairy man". Yowie research began then and there. The rest is history", says Rex. His grandparents owned a riverfront house about a kilometre from the farm, and until his death in 1947, his grandfather operated an estate agency in nearby Cabramatta. "Until my Grandmother's death in 1951, my mother often took me to visit her, and I enjoyed running off [the district still had a lot of undeveloped bushland then, particularly on the Gilroy farm and along the River] to stand on the river bank, and imagine Arabian and European pirate ships sailing up that river". "Little did I know that in the years ahead I would discover plenty of evidence that this river had been visited not just by Arabs, but Spaniards, Phoenicians and other ancient explorers", he adds. He received attention for his participation in an Australian Museum Butterfly Tagging program to study the migratory habits of species such as the Wanderer, Painted Lady and Caper White species, which make yearly seasonal migratory flights in large numbers across hundreds of kilometres. 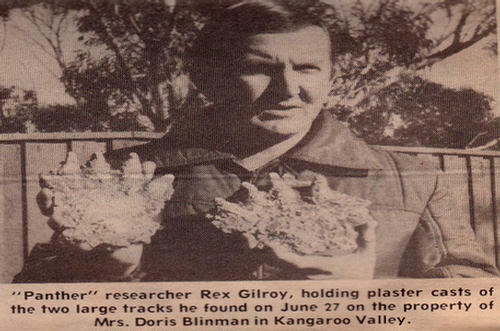 Yet, because Rex Gilroy was a mere 'amateur', and because he was beginning to receive a lot of media attention, the Australian Museum scientists for whom he had devoted so much time and effort in the Butterfly Tagging program, as well as donating hundreds of insects for research purposes, dropped him from their list of helpers! Similarly, over the years certain university academics who frown on any amateur involvement in the sciences, would wage a war of sorts against Rex in his efforts to publish his theories and discoveries, approaching gullible journalists 'advising' them not to interview him or publish his researches. There were efforts by one individual in particular to prevent him from obtaining the lease [including its later renewal] for the Mount York Museum. When he opened his museum [a former kiosk] in 1965, at 21 he was the youngest museum curator in Australia. On the Blue Mountains, and elsewhere across Australia, Rex would soon become famous for his spider researches, becoming known as an authority on the Blue Mountain Funnel Web Spider [Atrax Versuta], Australia's deadliest Funnel Web and spider species. Once he began giving lectures at schools and clubs in 1963 Rex Gilroy was soon in wide demand as a speaker, and today his slide talks on a variety of subjects are very popular, making him continuously sought after. Another field of research with which he has had a long association is Ufology. Having seen his first UFO over Katoomba on January 15th 1959, which spurred him on to gather all the evidence he could on the mystery, he would also go on to found Australian 'ancient astronaut' research. Rex Gilroy is an open-minded researcher who involves himself in all aspects of the 'Unexplained", and openly encourages everyone to keep an open mind, learn to question, and don't allow themselves to be told what to think. In this endeavour he have been very successful with students - including young university students - and this brings him into conflict with the conservative academia on a regular basis. The late Don Boyd [former editor of "Psychic Australian" and "Strange Phenomena" magazines] called him "an inspiration and a breath of fresh air to all researchers of the Unexplained". (A new section on Don Boyd up soon) Rex Gilroy is indeed an inspiration. He has been responsible for encouraging a great many young people to pursue university careers in history and the sciences generally, and like him always keep an open and enquiring mind. Rex Gilroy himself was a poor student, a slow learner who was overlooked by the educational methods of that day, and had to teach himself. His home is overflowing with books, thousands of them. Here he is also surrounded by his huge collection, which includes several hundred rock inscriptions of Phoenician, Egyptian, Libyan Celtic and other ancient visitors who came to these shores thousands of years before Captain James Cook. 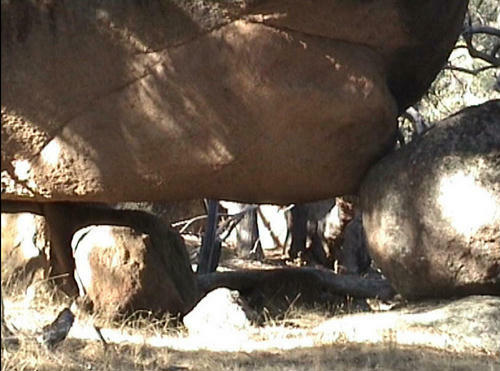 Here he keeps his collection of huge stone 'megatools' and other evidence of giant hominids, as well as a fossil skull collection showing the evolution of Homo erectus into Homo sapiens in Australia long before modern humans supposedly first evolved in Africa. His research on our pre-Aboriginal history alone has taken up the past 35 years of his researching life. Rex met his wife Heather in 1972 and since then they have become Australia's most famous research 'team', making regular field investigations Australia-wide, as well as in New Zealand on a variety of endeavours. 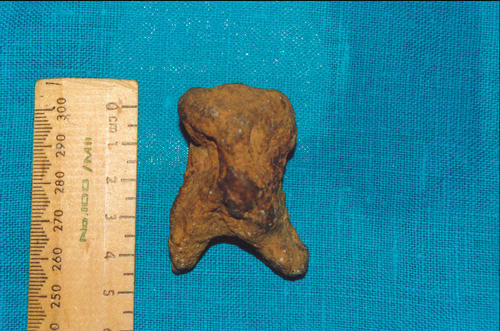 They have found evidence of a surviving Little Scrub Moa colony in the North Island and in 2004 they will search areas in the South Island for the equally supposed long 'extinct' Giant Moa. The regions where they flightless birds are believed to survive is virtually impenetrable mountainous scrublands. 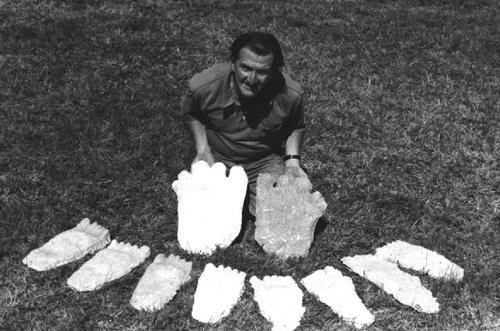 The 'father ' of Yowie research, he established the "Australian Yowie Research Centre" in 1965 and officially at his Katoomba home in the 1970's where all manner of evidence of these relict hominids is gathered and scientifically researched. 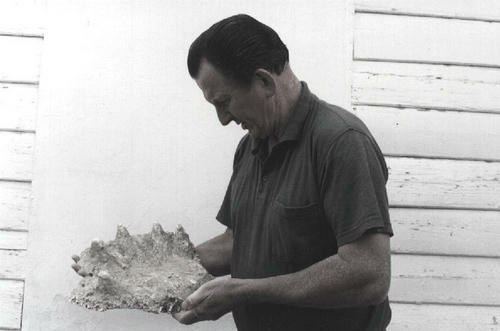 Rex Gilroy was first to realise that the Yowie, or "hairy man" was living relict populations of Homo erectus, a tool-making, fire-making race and our immediate ancestor. 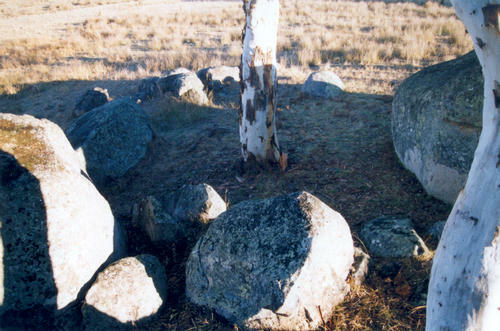 Yet, for all his 46 years of research into the Yowie mystery alone, he has had to face up to not only an often violent academic opposition, the ridicule of ignorant journalists, but the plagiarism of jealous 'researchers' who, unlike Rex and Heather Gilroy, seek only quick fame and MONEY using his hard-won findings for their own personal, selfish gain! In the word of American author/publisher-researcher, David Hatcher Childress "I wouldn't want to be Rex Gilroy". 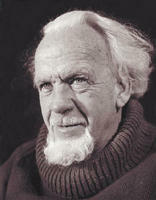 In the course of his field investigations, in July 1999 Rex Gilroy was lost in the dangerous Kanangra Boyd National park overnight, soaking wet in -3 degrees temperatures, and fighting hypothermia and hallucinations, had to battle his way up an escarpment through dense scrub, to be found the next morning, still on his feet despite exhaustion and a dislocated right shoulder! In 1995 Nexus published his first book "Mysterious Australia" [soon to be re-released by URU Publications]. This book continues to inspire and encourage other future young researchers. 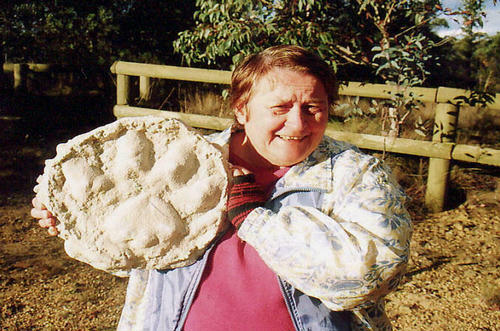 In 1999 the Gilroys formed URU Publications and have so far published "Pyramids in the Pacific - The Unwritten History of Australia" and "Giants From the Dreamtime - The Yowie in Myth and Reality", with more titles on the horizon, including a monster book on unknown animals, which is seen as the 'Bible' of Australian Cryptozoology, just as their "Giants From the Dreamtime" is hailed as the 'Bible' of Yowie Research in Australia. There have been attempts by university academics to discredit Rex Gilroy's books, even to the point of sending a delegation to the Gilroy home to ask them to withdraw "Pyramids in the Pacific" from sale while a university historian went over the text, and who would subsequently tell them what they had to remove and what they could retain! The 'delegation' [which included an elderly retired politician in his nineties!] was naturally sent packing by Rex - after a lecture on free speech and the freedom of people to make up their own minds about what they want to believe about our ancient past. At this the former politician retorted "The public have to be told what to think sometimes!" 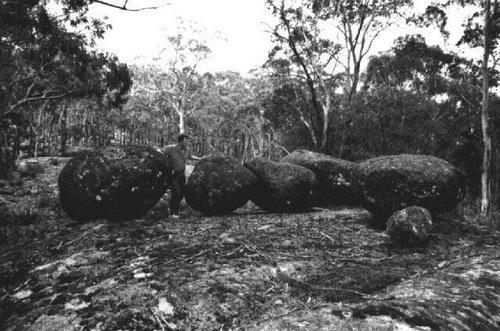 Back in 1965 Rex Gilroy discovered a number of mysterious altar stones and strange rock script at site on the Blue Mountains. It was the beginning of a lifelong quest to uncover what has become the "Lost [megalithic] civilisation of Uru". After 28 years he was able to 'crack' the translation of the mystery script [Rex is deeply involved in Epigraphy] to find that this people called themselves the Uru [a root word of 'Aryan'] and that this the THE 'mother' civilisation, which arose here in Australia to spread out across the earth at the dawn of history. The Gilroys, aided by a team of trustworthy field assistants, are searching the continent, turning up lengthy stone alignments, circles, temples and other astronomical site of this advanced stone-age civilisation. "When in 1965 I realised I was the discoverer of a 'lost civilisation' I felt like Heinrich Schliemann, who discovered the lost city of Troy in 1873.Schliemann was rubbished by jealous university academics at the time who tried to discredit the importance of his discovery, due to his lack of academic credentials. I soon got a taste of what Heinrich Schleimann went through, when I tried to write newspaper articles on my find in the later part of the 1960's and early 1970's, and they were dismissed as nonsense by journalists who knew nothing about these matters anyway. "I have made many important discoveries over the years, many with the loyal assistance of my wife Heather. Finds which would question many aspects of our 'official' history - fossil hominid footprints, Homo erectus [mineralised] skull-types, the Gympie and Cooktown pyramids; countless rock inscriptions left by a host of ancient maritime peoples, and all have without exception been dismissed out-of-hand and my work discredited in the media, by a close-minded academic establishment. Slander and ridicule are no strangers to Me", said Rex. The Lost Civilisation of Uru is the subject of another book which the Gilroys will publish in the near future. Like everything else they produce, or lecture on, it is regarded as "not Politically Correct"!Rex Gilroy turns 60 years old on November 8th this year, and has no intention of slowing down. 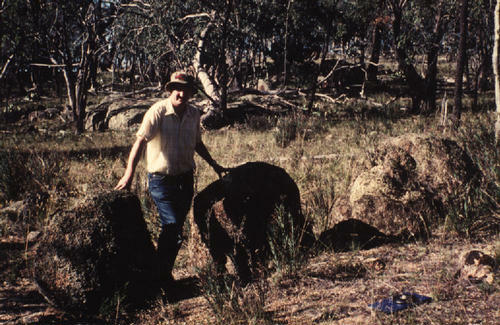 He has an ancient stone harbour and two crumbling large pyramids to continue researching as well as searches for more evidence of pre-Aboriginal fossil remains around the country; more lectures, as well as running his Blue Mountains UFO Research Group; The Australian-Pacific Archaeological Research Centre; The Australian Yowie Research Centre as well as training a number of enthusiastic, dedicated and non-profit minded young people to assist him in the field. He has been asked "Where do you find the time to do all these things?" This is a difficult question to answer for the "Yowie Man". The time to do anything he has to just seems to provide itself! There is another person hogging the media calling himself the "Yowie Man". However, this plagarist has less than 5 years 'experience' and knows next to nothing, like others of his kind who have lately attempted to sideline Rex Gilroy and push him out of the vary research of which he is the FOUNDER. 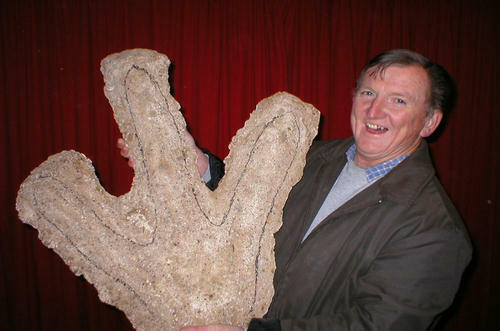 They have attempted to sideline him also from the field of Australian Cryptozoology, which like the Yowie research Rex Gilroy was the founding father long before any of these 'researchers' were every born! Rex Gilroy's website says it all. The observant and thinking viewer can make up their own minds about this man and who is the most dedicated. His huge natural history collection and the associated field note books and his huge library and photographic back-up are now all confined to his home. They deserve to be seen by an Australian public seeking answers to the many mysteries of our ancient past - if not the present - and unless some generous no-strings-attached benefactor is forthcoming, this priceless collection will remain unseen by the public at large, and in time lost forever. This would suit those with a vested interest in suppressing the Truth. As Rex Gilroy is not getting any younger a solution must be found that will guarantee that the Rex Gilroy Collection will survive in a permanent venue where all can see it, learn and be inspired by it. The late Don Boyd once summed up Rex Gilroy. 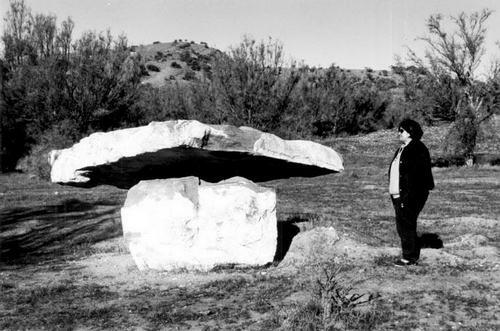 "I was driving west from Sydney one night in 1980, and having a late night look at the Three Sisters, decided to drive over past the Gilroy's home near the Skyway. It was 3 am or thereabouts and as I drove slowly past, I could see him working at something, probably typing his newspaper articles. The following night I was driving back, and once again drove past his house for the fun of it, and there he was, the lights burning away around 3 am again. I don’t think he ever rests. He is always working on something, perhaps a new theory. When we have been out in the bush on searches, he's always up front taking the lead, telling us to hurry up. He never misses a beat and I don't know where he gets the energy. You can't knock his dedication and enthusiasm, he's an inspiration to anyone who knows him, and I know there are even academics who pay him grudging admiration.